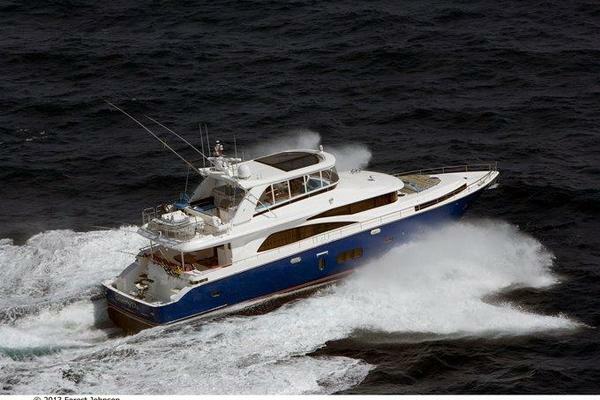 Sea C is a 2012, 73’ Sunseeker Manhattan that offers four staterooms plus three heads and a crews quarters. This yacht is powered by twin Man 1360hp and offers dual generators with one of them being replaced in September 2017. The upper and lower stations allow for the flexibility to captain Sea C from two locations. Both helm stations are equipped with state of the art electronics, joystick docking, and controls for the bow & stern thrusters. Sea C interior is finished in an Asian cherry wood. As the salon is accessed from the aft deck this area offers wood floors throughout and great seating to the port and starboard. Just forward of the salon is a dining table for eight and to the port side is a full turn galley. The lower station is forward of the dining room on the starboard side with seating to the port. The stairwell near the lower helm leads to the lower area where there are four staterooms. 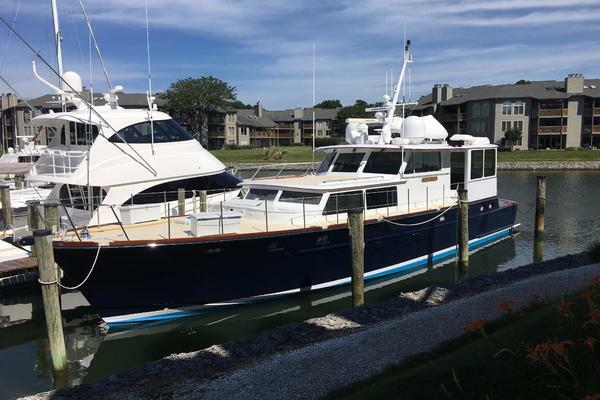 The master is full beam with large hull side windows and a vanity to the starboard and a full couch to the port. The master head offers dual sinks and a large walk in shower. The main VIP is on the bow with hull side windows & a private head and shower. To the starboard is a third stateroom with a full size bed and access to the head and shower. Just forward on the port side is the fourth stateroom with two side by side beds and the starboard side having a bunk. Sea C Flybridge is accessed from the aft deck and offers a hardtop with a sunroof. This flybridge is extremely spacious for its size and offers a lot of seating and lounging. To the port is a large C-shaped seating with a teak table and a large stainless single pedestal. Just forward of this area is a second seating area and the helm across to the starboard with dual seats. Sea C is located in Placida, FL and is an easy 45 min drive from the Tampa airport. This is a one owner vessel and priced to sell. United Yacht Sales New Jersey would love to guide you through a personal showing of this 73' Sunseeker Manhattan 73 2012. 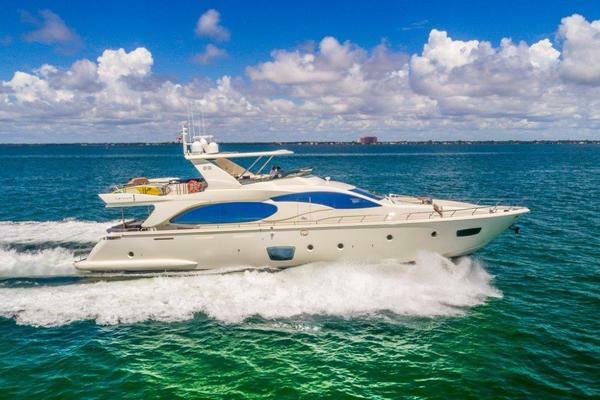 This yacht for sale is located in Placida, Florida and priced at $1,995,000. For a showing please contact us by filling out the form on this page and we will get back to you shortly!